A new novel of The Empire’s Corps! … And outright civil war may not be far away. 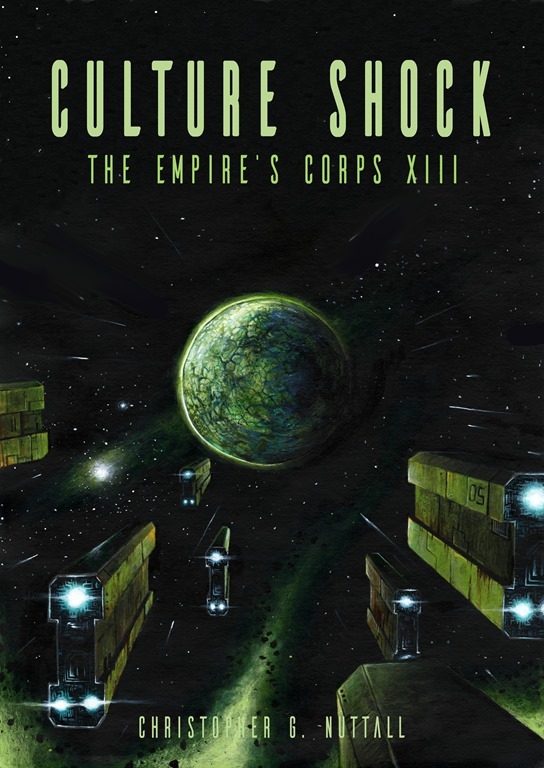 Good news first – I’ve completed the first draft of Culture Shock, Book 13 of The Empire’s Corps. I plan to do the editing and upload it on Monday, although I’ve caught a little cold and this may be delayed (hopefully not before I go to the US on Thursday.) The provisional title for Book 14 is Wolf’s Bane. And, seeing I keep being asked these questions, the next project is The Sergeant’s Apprentice (SIM 11) and Work Experience will be out in audio format on 4th December, barring accidents or unexpected problems. My current planned schedule is The Sergeant’s Apprentice, We Lead, The Zero Blessing (new YA series, something I wanted to try earlier) and The Fists of Justice. And remember, this is probably the last week to reserve a book at HONORCON. See you there! In the last few months, much has been written – including by yours truly – about the rise of Donald Trump. Attempts have been made to explain his appeal, ranging from paeans to his political skill to appalled denunciations of anyone willing to say, in public, that he (or she) is a Trump Voter. Even when Trump appears to flounder, his campaign picks itself up and keeps going. This book tells you why. MAGA Mindset is not specifically about Trump, although – as you might have guessed – it discusses Trump and his appeal in some detail. Instead, it is a background study of the present-day cultural conflict – I would really call it a civil war – within America and, in at least some aspects, the rest of the West. Such an assessment is long overdue, yet often lacking. Politics, as always, cast a long shadow over any such assessment. Trump is, at least to some extent, the inevitable end result of the current political and cultural situation. Having secured their grip on power, the elites – both Republican and Democratic – have used the power of social disapproval to crush their opposition. Accusations of everything from racism to Islamophobia have been used to suppress dissent, lives have been ruined by daring to question the religion of social justice. Worse, in a sense, a new racism has been spreading, a racism directed at straight white men. Ironically, this is a direct result of social justice campaigns. By fanning the flames of identity politics, the SJWs created their own enemies. White nationalism is fuelled by a sense that whites are the victims, not perpetrators. One may argue that this isn’t actually true, but it doesn’t matter. In politics, perception is all that matters. When legitimate complaints get ignored, people get mad. Trump was smart enough to understand that the GOP had left countless voters – its own voters – feeling excluded and ballsy enough to court them himself. Why did this happen? Cernovich argues that the RNC ‘Cuckservatives’ effectively betrayed their own voters. There is some truth in this. At the same time, I think this goes a little further than Cernovich suggests. The elites already had it all – they didn’t want or need to rock the boat. It was easier for them to do nothing, to refuse to take a stand. On one hand, they were fearful of being accused of Bad Think – racism, for example; on the other, the last thing they wanted was someone proving that they weren’t needed. Their attacks on Trump were fuelled by an awareness that Trump’s success undermines their position, even if Trump loses. Trump has already shattered their grip on power. And don’t they know it. Cernovich argues, moving away from Trump to some extent, that one can accomplish anything with the right mindset. One can only be defeated if one accepts defeat. Trump’s success comes from two factors – the willingness to dream big and the willingness to keep going, even after setbacks. He is correct in many ways – but Big Government works hard to make it difficult. Fighting them can be immensely demoralising. But we have to carry on regardless. This is a historic election. And this book goes quite some way towards explaining why. Even if you don’t like Trump, even if you recoil in horror at the thought of President Trump taking office next year, you need to read this book. Ok, true (and somewhat delayed, because I needed to know the outcome) story. A few weeks ago, my wife, my son and I drove down to Scarborough to attend Fantasycon by the Sea 2016. We arrived, as planned, on Thursday and parked outside the hotel. A passing parking warden was kind enough to explain that I needed to buy a parking permit from the hotel, allowing me to park there for 24hrs. So I went into the hotel, checked in, bought the ticket and placed it under the window. Everything seemed to be in order, so we went to the hotel and found our room. On Saturday, I went out of the hotel, with the new parking permit, to discover – horror of horrors – that a parking warden had slapped a ticket on my car. I was livid. I’d purchased two permits so far and there was nothing wrong with the way I was parked. (The parking warden I’d met certainly hadn’t said there was anything wrong.) To add insult to injury, something was wrong with the packaging – the damp had seeped into the ticket, making it hard to read. So I read the parking ticket in the car, feeling my temper going through the roof. £50? £25 if I paid ASAP? I’d bought a parking permit, damn it! And it was clearly visible. I went back to the hotel, only to be told I needed to either go to the town hall or send the parking wardens an email. The town hall was very close, but – it being Saturday – it was closed. (I think the guy at the front desk just wanted to get rid of me, as I doubted the town hall would be open right from the start.) So I went back to my room and sent the council an email, pointing out that I did have a permit. Four hours later, I went back to the car and guess what? I moved the car forward, just in case that was offending the passing wardens. I put the ticket by the driver’s seat, just in case that was causing them to miss it (although I thought it was polite to put it on the pavement side, rather than on the road side). And I sent another email, repeating my earlier inquiry. Now, I needed those permits for tax purposes, so I sent the permits (or what I thought were the permits) back to the council. I included a stamped postcard they could send to confirm they had arrived and a SAE, so they could return them. Well, yeah … at the cost of roughly £7 in stamps and a small amount of time wasted answering emails, sorting out what to send (twice) and then nagging them to return the parking permits. About the only consolation I have is that the council and their parking wardens didn’t get a penny. Which is good, right? The thing that bugs me about the whole affair is this – I acted in good faith. Now, good faith is doing everything in your power (within reason) to do something. If I post someone a cheque on Monday, knowing it has to be there by Friday, I have every reason to assume that the letter will reach its destination before the deadline. The letter being delayed because of something outside my power (a postal strike, for example) is not my fault – I still acted in good faith. If I have sufficient funds in my bank account to pay the cheque, it is not my fault the cheque bounces; if the payee doesn’t pay it in on time, it is not my fault the funds don’t reach their account by the deadline. No one, least of all me, would dispute that some mistakes are fatal, that some mistakes are so bad that the person who committed it cannot be allowed another chance. But this was not one of them. If the parking warden who’d put the first ticket on the car had scribbled a note to explain the problem, it could have been fixed. Instead, I had to waste a great deal of time that I really did not have to spare. And I think I can safely say I have no intention of returning to Scarborough. I’m pretty sure a few people reading this are not going to be impressed with the above statement. Scarborough existed for centuries before I was born and will probably be around for centuries after everyone has forgotten I ever existed. But consider this – I spent roughly £800-£1000 in Scarborough; buying books, buying food, buying ice cream on the beach … and last, but not least, paying for our hotel room. A certain percentage of that money will be taxed, a certain percentage will go into the council’s coffers. If I don’t return next year, local businesses will lose income and thus the council will lose tax. This is small potatoes, of course. I doubt that the council will even notice a drop in the bucket (realistically, it’s smaller than a drop). But what happens if hundreds of other tourists do the same? What happens if the advantages of visiting Scarborough – which is a pretty little town, with lovely beaches – are negated by the hassle of having to explain to the council that you were legitimately parked? Or having to pay out a chunk of money because the council doesn’t accept your explanations? Is the prospect of claiming a ‘mere’ £25 worth the indirect costs levelled on the town? It is episodes like these which wear down trust in government. To have to argue the obvious with a bureaucrat, to have to explain that there is no case or that everyone involved acted in good faith … it’s pointless, it’s soul-destroying and it’s killing us. And then people wonder why parking wardens and taxmen are regarded as little more than parasitic vermin. And yet, when I was looking at her Wikipedia page (I was researching for something altogether different), something kept nagging at my mind. Hillary had held many positions, some quite senior. But she has never been in a post with “the buck stops here” responsibility. George W. Bush was Governor of Texas. Bill Clinton was Governor of Arkansas. George HW Bush was Director of Central Intelligence. Ronald Reagan was Governor of California. Jimmy Carter was Governor of Georgia. With the exception of Obama, about which more later, you have to look as far back as Gerald Ford to find a President without “the buck stops here” experience. And Ford was never expected to be President. Now, there are certain kinds of experience that can be used in multiple roles. Eisenhower’s experience in WW2 prepared him for his term as President. He had a lot of experience with senior military officials, the logistics of war, foreign concerns and (among other things) knew when his advisors were trying to snowball him. This is, of course, sometimes a major problem – Jefferson Davis (who can reasonably be counted as a major US political figure) acted as his own Secretary of War, which caused headaches for the CSA). Hillary Clinton does not have this sort of experience. She was a Senator, true (and famously pledged to concentrate on her people before deciding to run for President in 2008). Bear in mind that she ran for a very safe democratic seat. I don’t think she faced a real contest before the 2008 battle for the nomination. Regardless, Senators are rarely in “the buck stops here” positions. I don’t believe she was ever in a position when she had to make a decision and stick to it, let alone face the consequences of her actions. The way politicians respond to crises is inherently unpredictable, but Hillary was never in a position where she could be tested in fire. Benghazi, perhaps the sole exception, was a complete disaster. Obama had much the same problem, when he entered office in 2009. His political resume was thinner than just about every president for the last decade. He had very little experience in politics and next to nothing outside it. Obama was no military officer, no businessman … he wasn’t even a state governor. Is it any wonder that the praise showered on him by the media and foreign governments went to his head? And Obama has a fair claim to being the worst President since Buchannan. The fundamental difference between Obama and Putin (and Hillary and Putin) is that Putin understands the realities of power while Obama does not. Obama is driven by wishful thinking, by the belief that he can adjust geopolitical realities at will; Putin is driven by hard-nosed realism, by the awareness that an understanding of the world is necessary before one seeks to change it. Obama thinks he can change his mind on a whim, that there will be no long-term consequences for his actions; Putin understands that one has to be consistent, that one always has to keep one’s eye on the prize. Obama had a great hand and played it poorly; Putin had a weak hand and played it very well indeed. One does not have to like the man (and I think we will be fighting him sooner or later) to admire the scale of his achievement. There is no reason to think that Hillary Clinton will do any better. Indeed, there is a great deal of reason to think the opposite. Hillary thinks nothing of selling out her allies – Britain and the Falklands – or simply betraying them when it becomes politically convenient – President Mubarak, for example. (Yes, President Mubarak was a swine – but turning on him set a dangerous precedent.) Nor does she give much of a damn about the damage she has caused to American national security or the sheer level of encouragement she has given to rogue regimes. Hillary Clinton is an intellectual in the worst possible sense. Like most intellectuals, she commits the grievous error of mistaking her conception of reality for actual reality. (Like an author creating utopia on the page.) Unlike most intellectuals, she has been in a position to influence events on a global scale – and is reaching for the most influential position in the world. And yet, there is no sign that she understands either its limitations or the problems she will have to solve. Hillary has not learnt from her experience, such as it is, or from anyone else’s experience. I don’t believe she will be any match for Putin, let alone any of the other challengers America will face in the coming years. And that will be very unfortunate as Putin – and the others – seek to consolidate their gains. This has probably been done a million times over, but it’s just something that started to run through my head when I was looking at my old university stuff. There really is a supernatural world out there, hiding in the shadows. Vampires and werewolves, magicians and demons and things that go bump in the night. Most of them have learned caution over the years. They prefer to prey on humans rather than try to take over the world. However, they still pose threats. The only defence against these creatures is a handful of human magicians – there are actually very few magicians. There’s certainly not enough of them to operate a school! Most human magicians got killed during the witch-burnings and so on. Donald Trump’s bid for the presidency has been declared dead. This would be more impressive if this wasn’t the umpteenth thousandth time the media had announced that Trump was going down in flames. Seriously … people have been gleefully celebrating his political defeat long before he became a serious candidate, then beat fourteen of the most powerful Republicans in the country and then posed a serious threat to Hilary Clinton’s poll numbers. Trump has been declared dead so many times that the political afterlife must have a revolving door. I noted, back when I started watching Trump, that when a Republican candidate commits a ‘gaffe,’ the gaffe is promptly blown out of all proportion by the mainstream media. The candidate barely has a moment to realise he’s under attack before he finds himself being drowned in negative media coverage. Most candidates stagger under the hail of incoming brickbats, retreating in confusion rather than ploughing onwards. Trump’s success owes a great deal to his willingness to keep going, rather than surrendering to the judgement of the political and media elites. … And Donald Trump was terribly rude about women, back in 2005! Guess which one the media considers most important? Hint – it’s not the possibility of a war with a nuclear power. This has been said before and will probably need to be said again. This is an election between Donald Trump, master of the foul mouth, and Hilary Clinton, mistress of political corruption. Issues of political corruption are much more serious, whatever the media may tell you, than comments from eleven years ago. 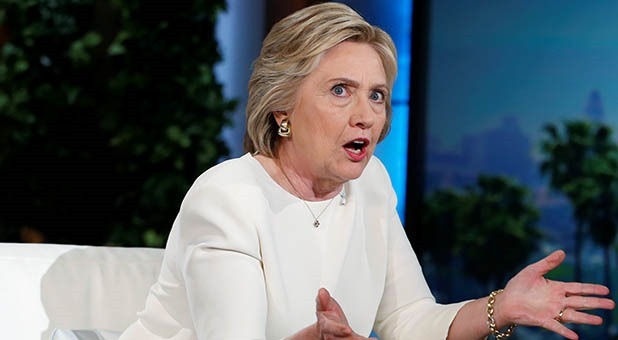 (Coming to think of it, Hilary insulted at least a third of the entire American population with her ‘deplorable’ comment.) Trump still has a very good chance of winning. You spend your life savings for a trip of a lifetime … on the Titanic. Captain Smith and his crew reassure you, time and time again, that the ship is completely safe and that there’s no danger in charging through a field of icebergs in the pitch dark. You are uneasy, but allow them to lull you to sleep. The ship hits an iceberg and starts to sink. Captain Smith keeps assuring you that all is fine, but it’s very evident that the ship is sinking. And the only lifeboat is one rowed by the extremist. Do you climb into the boat or do you stay on the Titanic until it sinks? You get on the boat, of course. There’s no other way to survive. The problems facing America were caused by the political establishment. Those fourteen Republicans trounced by Trump were establishment candidates. Hilary Clinton, too, is an establishment candidate. There is no reason to assume that Hilary will be good for anyone beyond the establishment itself. Trump, the extremist, is the only challenge who isn’t openly part of the establishment. Trusting him is the only way to defy the establishment. The RNC failed. It allowed reasonable, moderate candidates to be driven out. The DNC failed. It pushed Hilary forward, even though she’s a strikingly poor candidate and there’s a strong perception she cheated when she beat Sanders for the nomination. Both parties should have looked for someone with broad appeal, someone who actually understood the problems facing the country. Instead, both parties are now hoist by their own petards. Trump has been accused of wrecking the Republican Party. There is some truth in that – Trump showed that a non-establishment candidate could take the nomination, no matter what the establishment said. But the real damage was done long before Trump burst onto the political scene. And the same is true of Hilary and the Democrats. Her past hangs over her just as much as Trump’s hangs over him. It isn’t a good choice. But the race isn’t over yet.